it would be rad to see a vinyl repress of this great album! 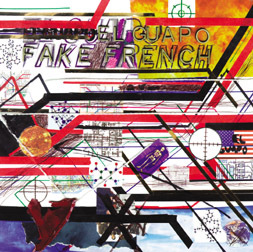 "Fake French," El Guapo's second and bestselling Dischord release, was released in March 2003. Most of the music was recorded by the band in Justin's parents' living room outside of Philadelphia, Pa.; the rest was recorded by Chad Clark at Inner Ear, where he mixed the entire thing.